If you know how innovative Corsair is then you can expect some good features in its computer cases. I have used Corsair cases myself and I feel that for every budget Corsair has provided some solution. 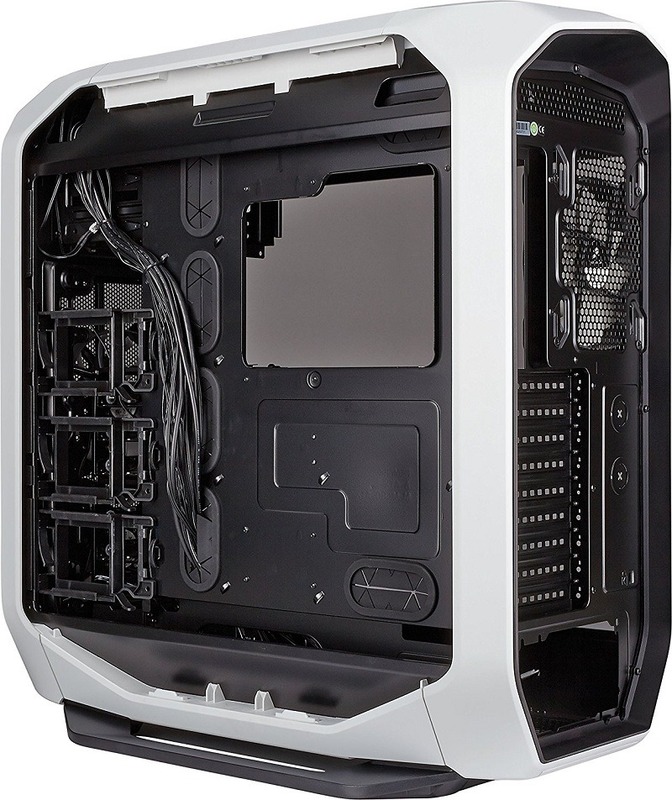 Corsair cases are highly reliable and are perfect in terms of cable management. In this article, I have given my thoughts on the cases that I consider to be among the best from Corsair. As I have a good experience in cases, I am pretty sure, you will not be disappointed with my recommendations. 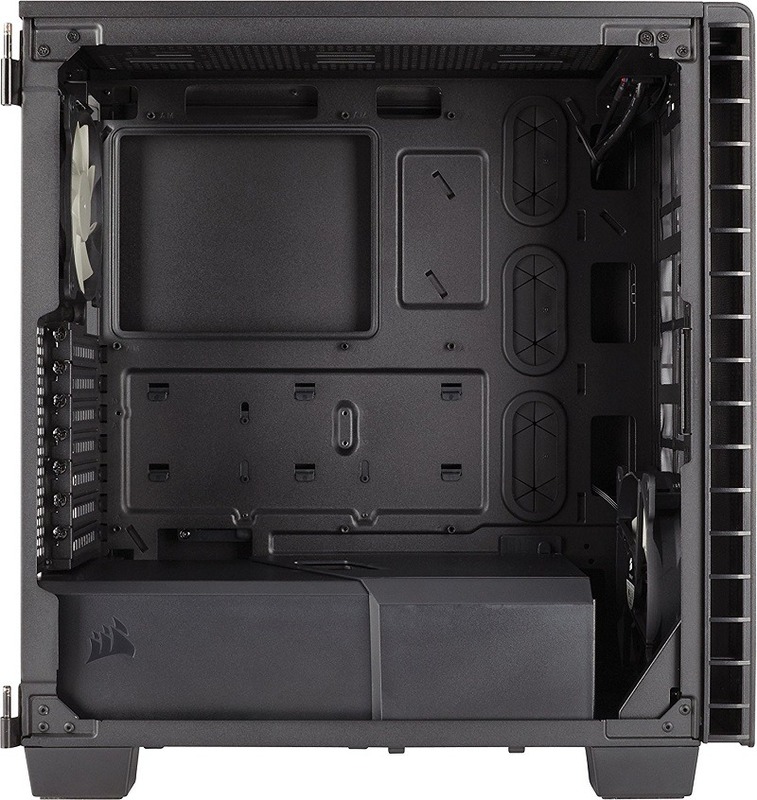 When it comes to budget Mid Tower cases, the Corsair Carbide Series Spec-02 is the most widely used case which I have personally used to build a PC for my friend. 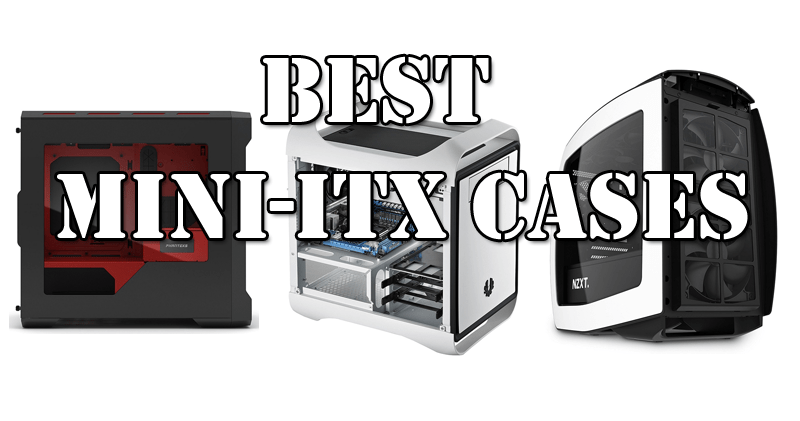 It’s definitely the best budget Corsair case for people who are building a mid-end or even a high-end gaming PC. 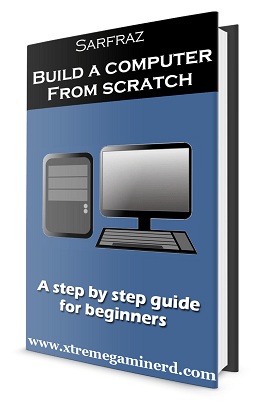 When we see it features, there a lot of things that are offered for a good price. Corsair SPEC-02 is the next version of the SPEC-01 and has almost 90% of similarity. But there are a few changes and minor tweaks that Corsair did in order to make it a little better. The SPEC-01 comes with one USB 2.0 and one USB 3.0 front ports but the SPEC-02 has both of them as USB 3.0. The second advantage is the extra fan slot at the bottom of the case in SPEC-02 which will be helpful for better cooling. As for the side window panels, both are similar but the design of the front side and the side panels are a little different. Inside the case, SPEC-02 has 2x 2.5″ bays for SSD’s and 3x 3.5″ bays for HDD’s, however, in SPEC-01 there are 4x 3.5″/2.5″ combo bays present. So, technically you will be able to use 4 storage devices in SPEC-01 but in SPEC-02 you can use 5 and the location of those SSD bays are above the HDD cage which is perfect and saves some space. All these drive bays are also tool free which enables you to install them quickly. For cooling, it supports up to 6 fans: 1x Rear, 2x Top, 2x Front and 1x Bottom. 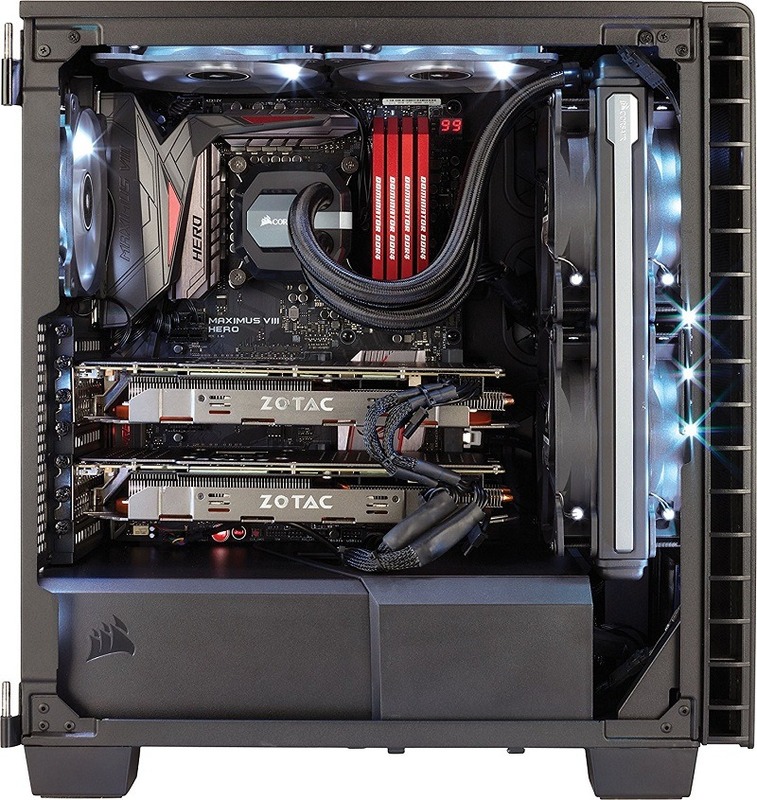 You can install a radiator at the rear but you have the limitation of using AIO coolers other than the rear area. You can only install chassis fans at the top, bottom, and front. 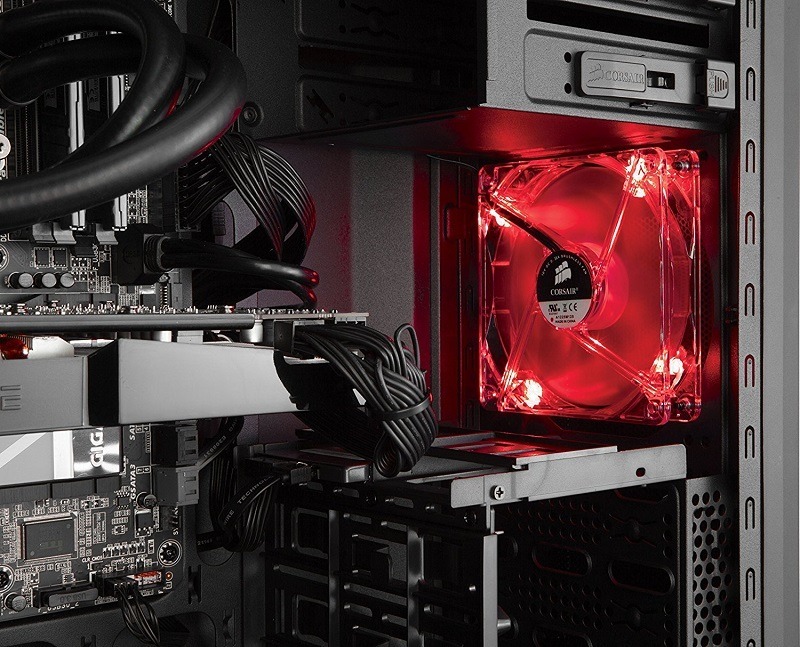 As it comes already with 2 pre-installed fans, you might not need to put more fans if you are building a budget gaming PC because two fans for pull and push configuration is enough for adequate cooling. 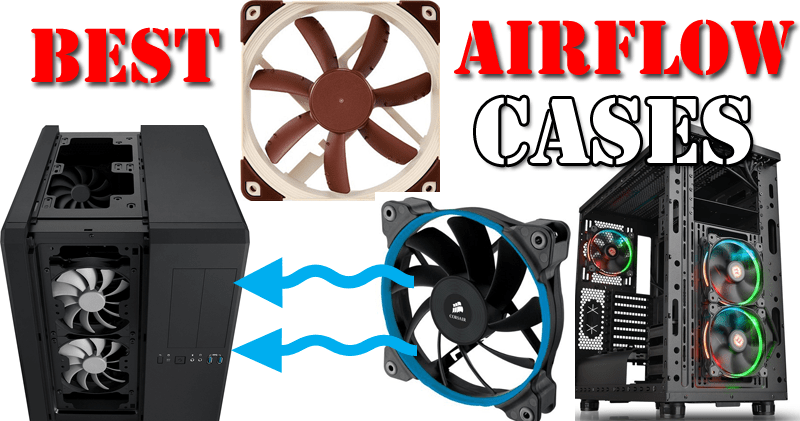 Also, as the front of the case has ventilation with dust filter, you will have no problem in proper air flow. Cable management, on the other hand, is just fine. It’s not spectacular because the backside of the motherboard tray doesn’t have so much space for collecting and tying every wire together. In my friend’s build, I had to separate some of them so that the side panel can fit in properly. But it was still Ok and not of too much concern. Material quality is also fine and it’s light. The panels are not flexible, but they are rigid and reliable although they are light. 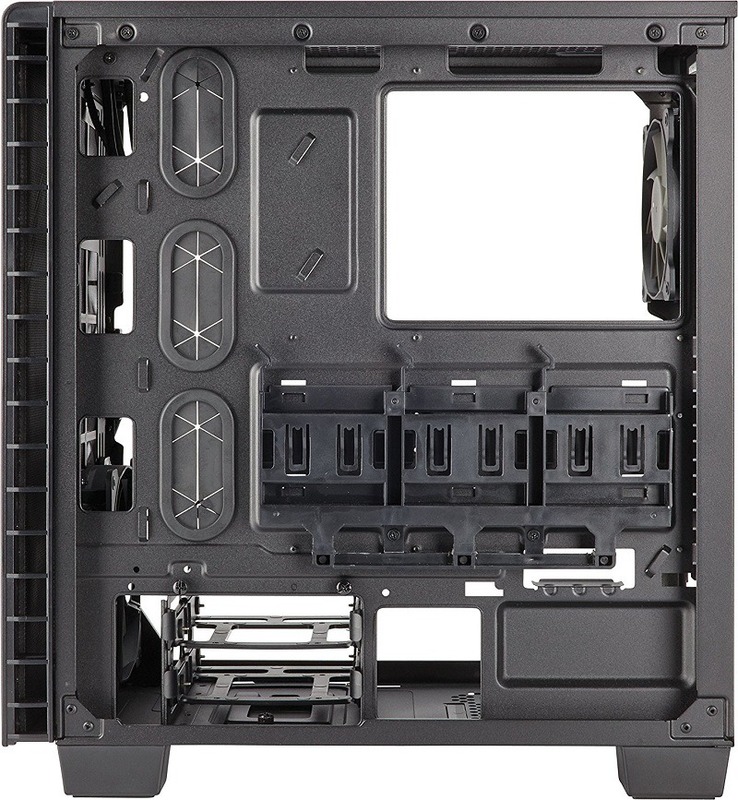 This case, in my opinion, is worth the money if you are building a mid-end PC. For High-end Gaming PC’s I don’t recommend it because of lack of some of the proper features which I just mentioned but if you are building a gaming PC that costs from $500-$800, I definitely recommend it more than any other case as I have used it myself and I am fully confident. 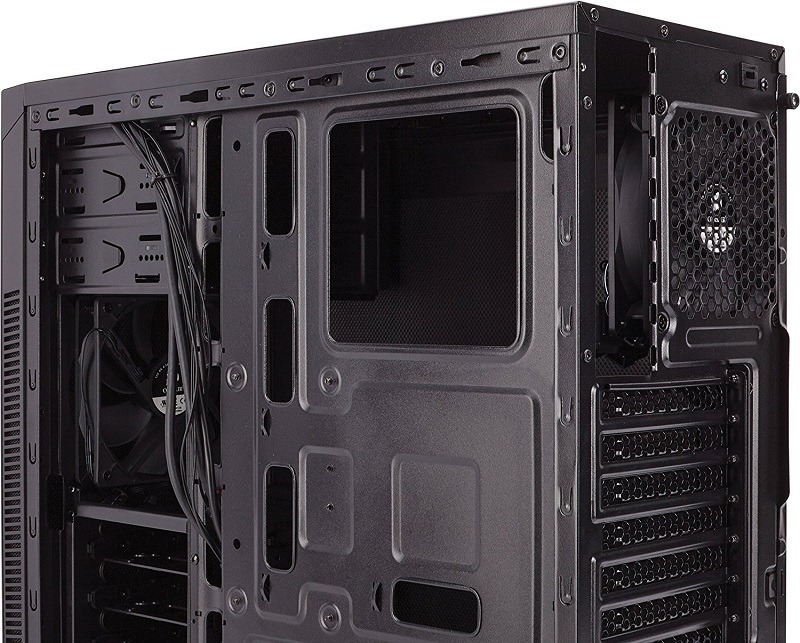 Corsair Carbide Series SPEC-02 is an awesome budget mid-tower that has outstanding ventilation for cooling and support for long graphics cards. 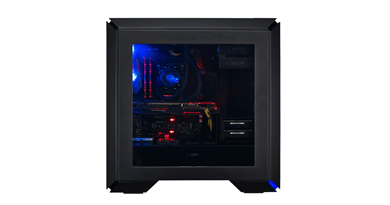 The case has very good build quality and supports up to 5 storage devices in a compact space. The only major CON is the lack of support for big radiators even after having so many slots for chassis fans. 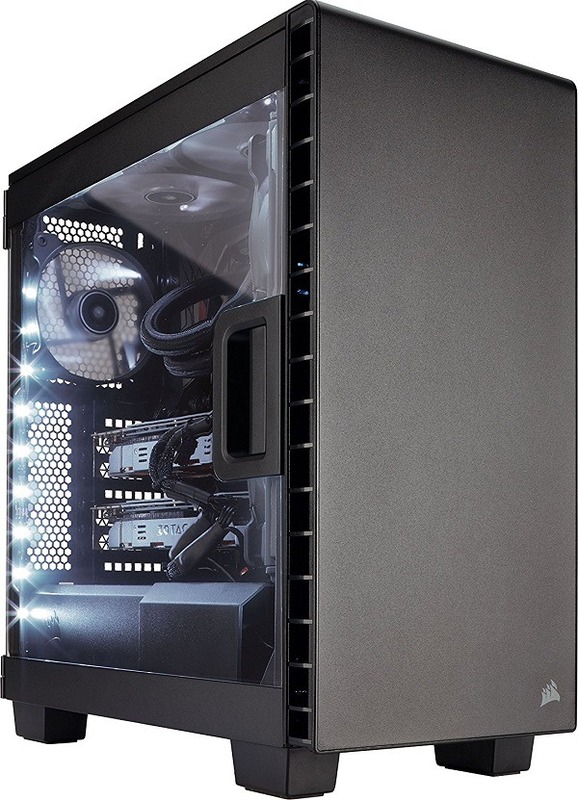 Corsair Carbide Clear 400C is the case for those who want more in less space. It’s essentially one of the best compact solution on the market that has a lot of components support even though it looks tiny. 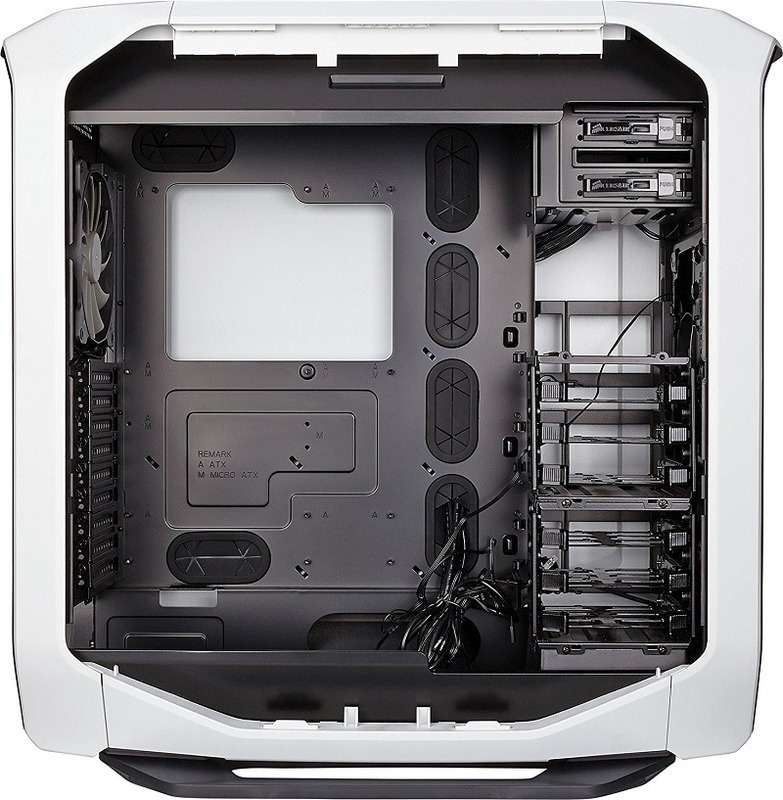 Features like PSU shroud and easily removable side panel makes it look cleaner and easier to build in. When we think about a compact case, the first thing comes to our mind is the compatibility of components. Will it fit a 300mm long graphics card? Will it fit a 240mm radiator? Can it support a 150-160mm CPU air cooler? Yes, it does. Forget about compatibility. You can use a full ATX motherboard, long graphics card, 360mm radiator and much more in this case. The case also comes with a PSU shroud that is divided into two parts. One for PSU and one for HDD cage. If you want to remove them completely, you can do so and you can also remove the HDD cage permanently in case you are going to use only SSD’s. Hidden HDD’s and SSD cages inside the PSU shroud and behind the motherboard tray helps this case in making a good looking rig that is clean and properly organized. Cable management is also far better than any other compact case. There is a lot of space behind the motherboard tray which can adjust all the cables and the large motherboard tray cut out will help you install a custom CPU cooler without removing the motherboard. Along with that this case has several cutouts for cable routeing present at the top, side and below which makes connecting the cables easier and neater. Cooling is one of the best features of this case as the front panel has opened from the side that can intake cool air and has the space to install up to 360mm of radiators. At the top, it has support for 2x 120mm fans. If you put 3 fans at the front and 3 fans at the rear and top, it will create the perfect balance and proper air flow. However, if you want to install the radiator at the top, you can’t do so as the height of the case is short and there isn’t space for that. Well, that’s justified because the case is made compact. The front is just plain and similar is the top side. 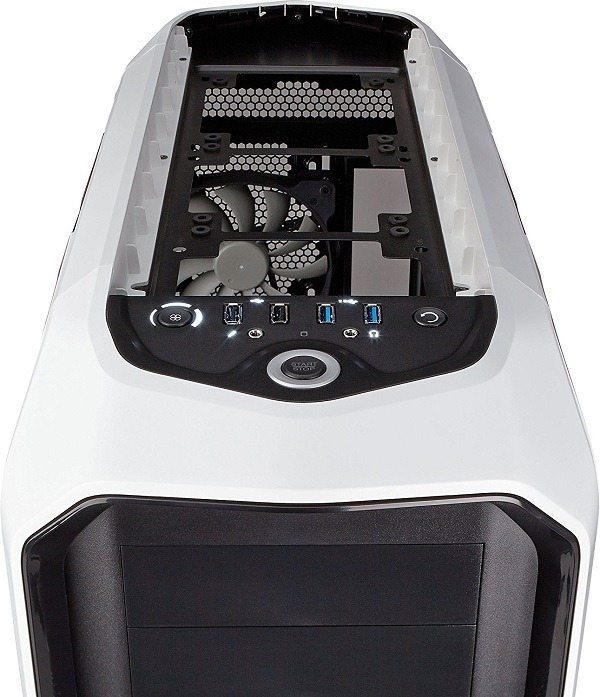 However, it has a dust filter present at the top for preventing dust entering into the case. So, for cooling, I feel there are no serious flaws at all and building inside this case is also easy. A perfect compact case with lots of ventilation and modular design that lets you customize it according to your needs. The flawless cable management and the presence of several routeing holes make it a damn good choice for the money. For quiet operation, the Corsair Carbide Series 100R silent edition is a perfect choice for gamers or workers which doesn’t break the bank and comes with sound dampening foams that help reduce the overall noise. 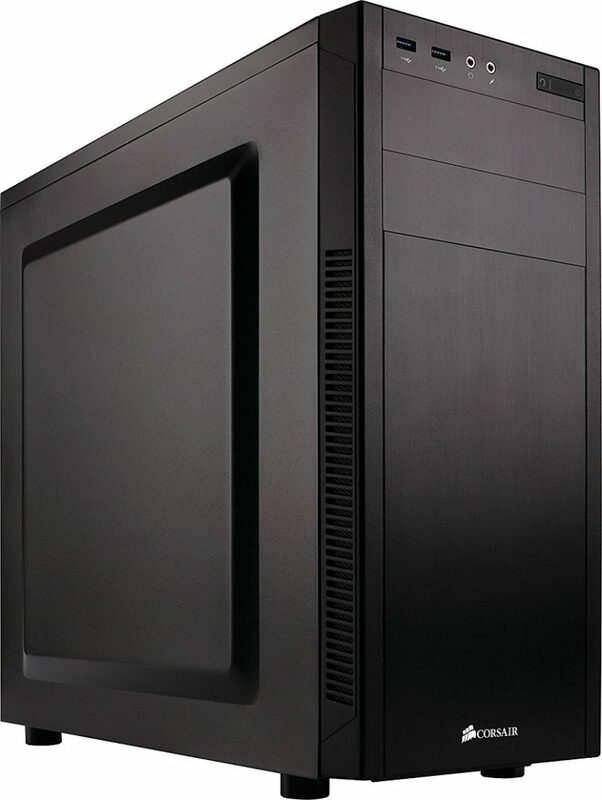 The case has all the basic features and an opaque side panel for quieter operation. Everyone likes quiet operation. 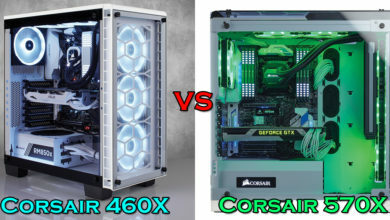 Corsair has the solution for this at a good price. 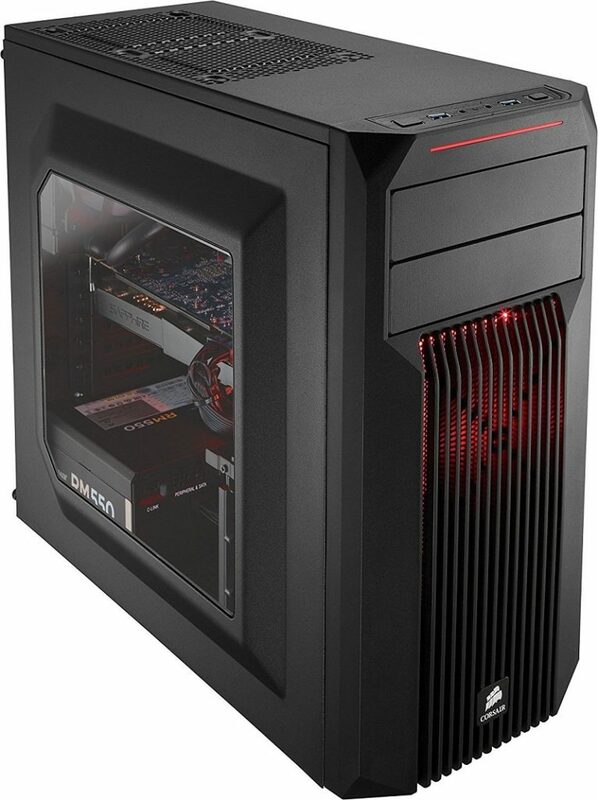 The Corsair Carbide series again comes with a case which has similar features like that of SPEC-02 but is silent. 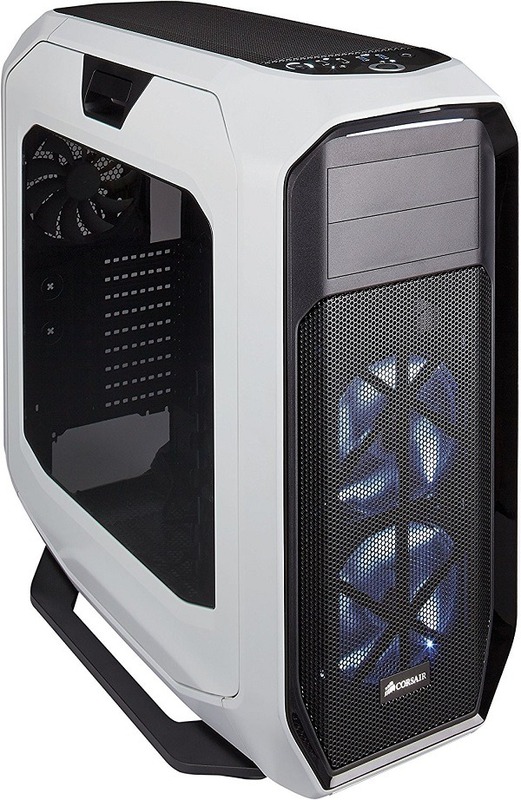 This case looks simple and has a good metallic finish at the front with a Corsair logo at the bottom. The top of the case has two USB 3.0 ports along with audio/mic jacks and Reset/power buttons. The case just like the SPEC-02 comes with two 5.25″ drive bays for installing Optical drives and has 4 drive bays for installing either an HDD or an SSD. The drive bays are tool free, so you can access them without using your screw driver. 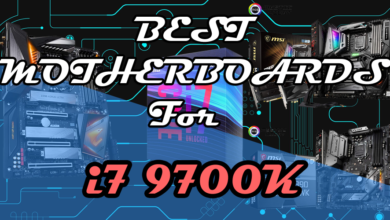 Now, coming to its main features, it has an outstanding support for cable management for Mini-ITX, Micro-ATX and full ATX motherboards as for each form factor, there are several cutouts to make it possible for you to route the cable according to your needs. 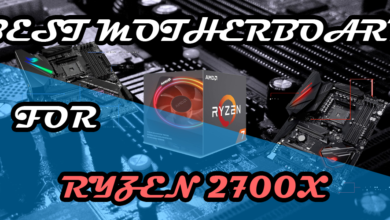 However, the motherboard tray cut out for installing custom CPU cooler is small and will pose a problem if you ever change your cooler while keeping the motherboard into the case. Although for making the way of cables behind the motherboard tray is easy in this case because of the concave design of the side panel. Both the panels have the same design and it will allow tall CPU air coolers to be installed properly. 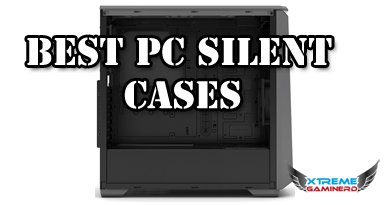 A feature which is its core is the presence of sound dampening foam pads all over the case. At the front and at the side panels, there is an abundance of these foams that absorb the noise coming from the coolers and chassis fans. 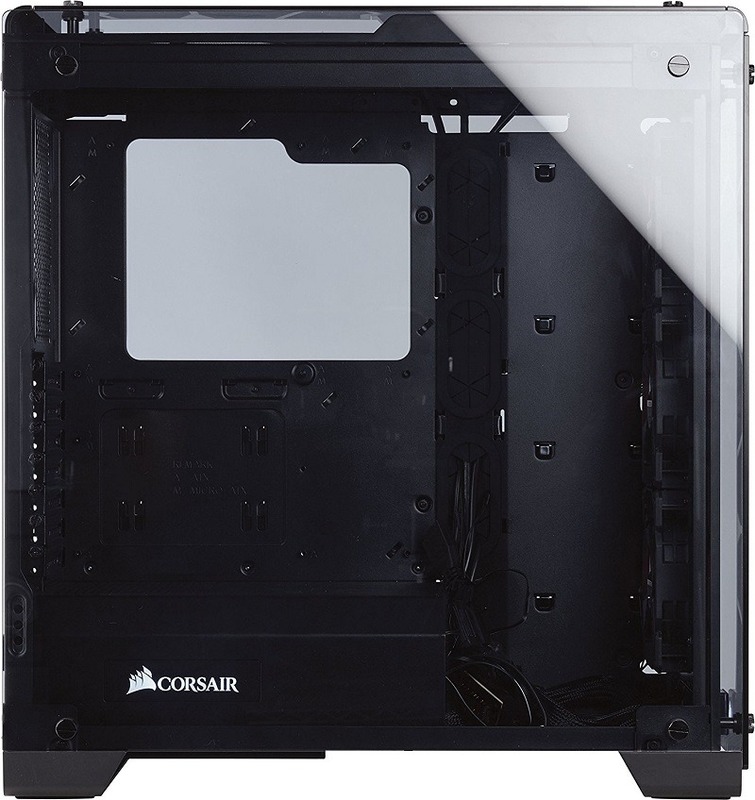 To make it more silent, Corsair has removed the slots for installing the chassis fans at the top and have provided little space for ventilation at the front too. This in itself is an advantage as well as a CON. 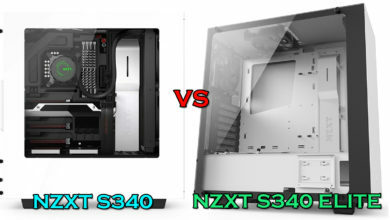 It’s an advantage for those who are using a good CPU cooler and two 120mm fans at the front for intake because it will be enough for proper cooling that will also not compromise its silence. But it’s a CON for those who want to do overclocking and have several components installed inside. The case will generate a lot of heat in summers and the amount of ventilation provided in this case falls behind to the Mid towers like SPEC-02. So, if you are a silent worker and just game or work without overclocking crazy and have good CPU coolers, you will have the best experience with the case but if you love cooler operation, it’s better to go with an option like SPEC-02. Corsair Carbide Series 100R silent edition case is for those who don't want to break the banks and yet achieve quieter operation. The case has an excellent design which helps in proper cable management and the foam paddings are a top Pro which reduce the noise effectively. Corsair Crystal Series 570X is the ultimate top quality mid tower for any price you can buy right now. 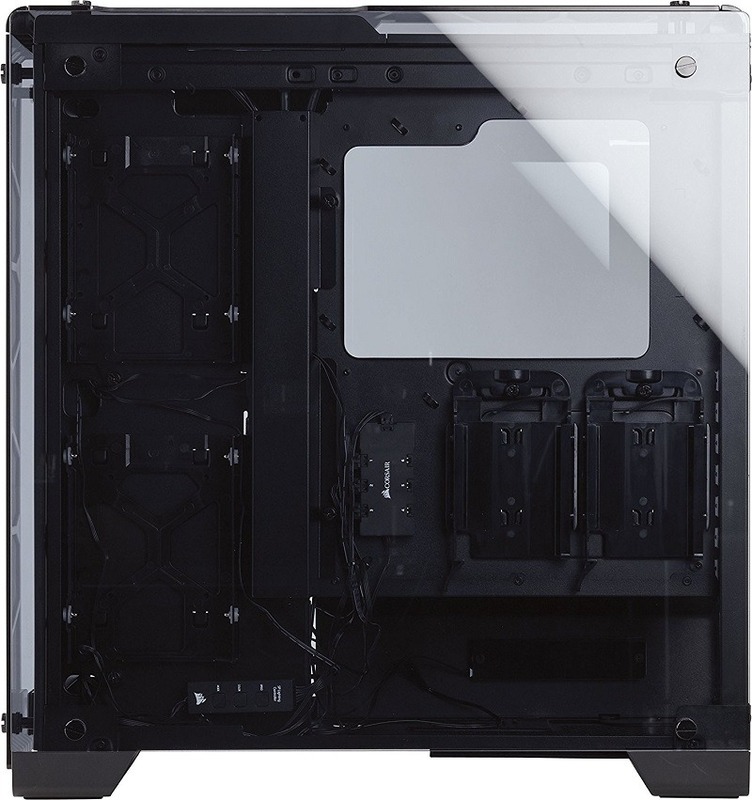 This case has premium features such as tempered glass and 3x 120mm SP series pre-installed RGB fans which make it look gorgeous and transparent from everywhere. If you want everything best from cable management to custom water loop support, there is nothing better than this piece of art. Corsair 570X RGB case is my personal case and I am using it right now. I will give you my honest opinion what it has and what it lacks. First of all, I want to talk about its price which is more than $150. I think it’s overpriced. Yes, it is due to the tempered glass at 4 sides but there is actually no need for a tempered glass at the second panel. No body wants anyone to see the cables and hard drives hanging there. Everyone is interested in seeing the CPU cooler, motherboard, graphics cards and chassis fans. But that’s only my personal taste. But overall, I feel that I could not have gotten any better case than this. It has a lot and a lot of space inside even though it’s not huge. It’s still a mid tower with normal dimensions. The reasons it looks so empty inside is because of its unique storage drives solution. The hard drives and the SSD’s drive bays are present at the back of the motherboard tray and it’s a good innovation to save space. Now the front side is completely empty and that can come into use if you want to install dual fan radiators or a reservoir for custom water loops. With tempered glass everywhere this case shines like nothing else. The Corsair SP RGB fans have a controller on the top of the case which has three buttons for different types of customization and you can add 3 more SP series fan inside this case connecting to that controller which is present near the PSU shroud behind the motherboard tray. Although it doesn’t come with fan hub, you have to use your motherboard fan headers to power those three fans. I, fortunately, had a 4 fan hub that I used to power my radiator fans and the front three fans. If you have a good ATX motherboard that has several fan headers, it’s no problem. The motherboard cut out is big enough for easy installation of CPU coolers but the tempered glass panels are difficult to handle. They are heavy and they need to be put aside carefully when building the PC. Cable management, on the other hand, is top of the line as they are a few straps present behind the motherboard tray for holding all the wires with an additional cover that hides the cables. But that will be difficult to put on if you have too many wires that are thick. In my case, I wasn’t able to put it back but straps were enough for handling the cables and everything looks neat and clean. The CON, however, is the absence of cut outs in the PSU shroud and its short length. Unlike the Phanteks P400, it doesn’t hide all the cables and you have to route the front panel cables from either the grommet present at the side of the motherboard tray or from inside the PSU shroud which makes it less clean. It’s an obvious mistake and I don’t know why they did this? But other than that, the case can support a 240mm radiator at the top and a 360mm radiator at the front which is definitely a good Pro of this case. The air flow is also great as there is enough space between the glass panels and the dust filters at all the sides making dust entrance difficult but proper air flow. Although, dust is something which will still accumulate but it’s easy to clean with an Air blower. A perfect Mid tower case that has aesthetics and performance. With support of custom water loops and thick radiators this case outperforms almost every mid tower case when it comes to cooling. The unique design and awesome cable management make it easier to build in it and the 3x 120mm Pre-included Corsair SP series fans make it look fantastic from the front side. Corsair Graphite Series 780T is a fantastic full tower case for anyone who doesn’t want any restriction in building PC. It supports every type of component and is perfect for cooling in all terms. 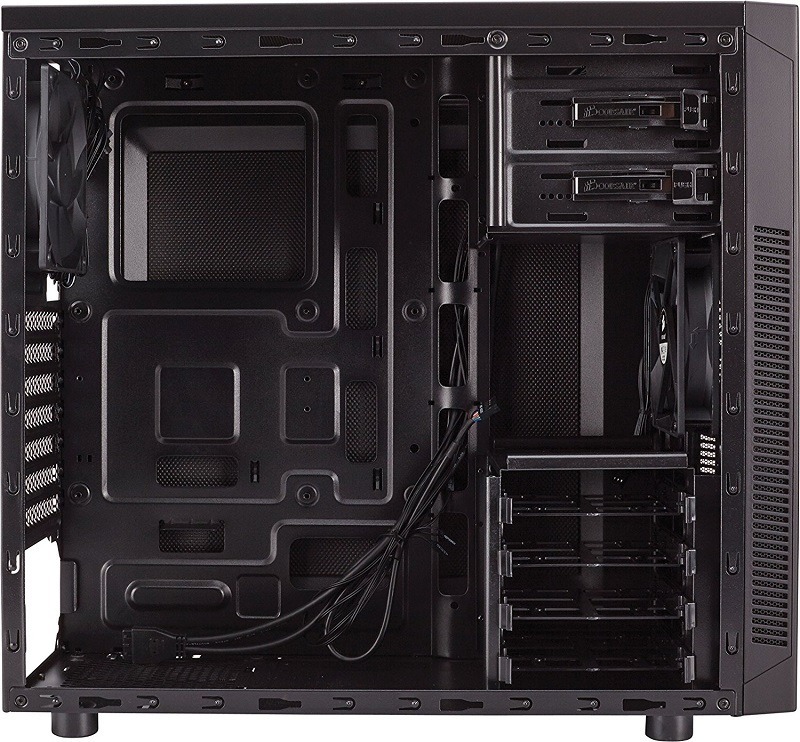 The modular design and the huge room inside makes it best for custom water cooling and upgrade. 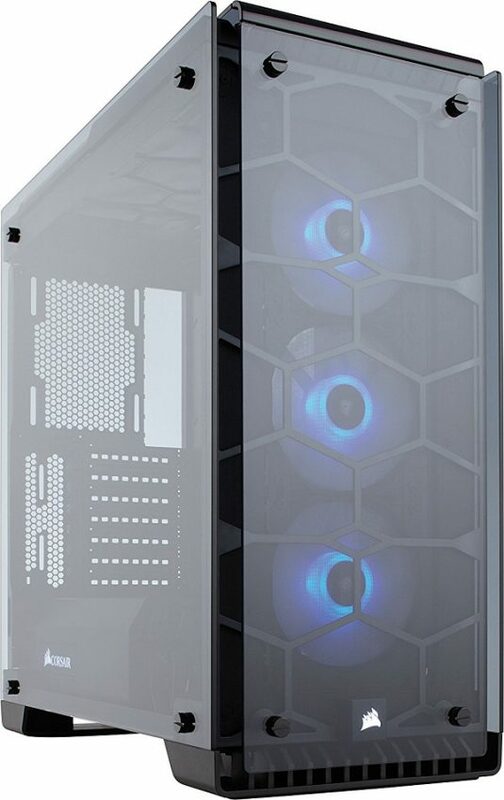 Currently, there are a few full tower cases from Corsair that are similar to the Corsair graphite series 780T but I chose it over the others on my personal taste. The case has sporty looks and has a lot of air flow inside. The case is modular and supports a lot of components at the same time. For cooling, it has already pre-installed 2x 140mm fans at the front and a 1x 140mm fan at the rear. The two front fans are white LED fans, so they look really good. Or you can just swap them for installing a 360mm, a 280mm or a 240mm radiator. The top side is also having a lot of space to install a radiator, so if you want to make a custom water loop for your GPU as well as CPU separately, you can do this easily. 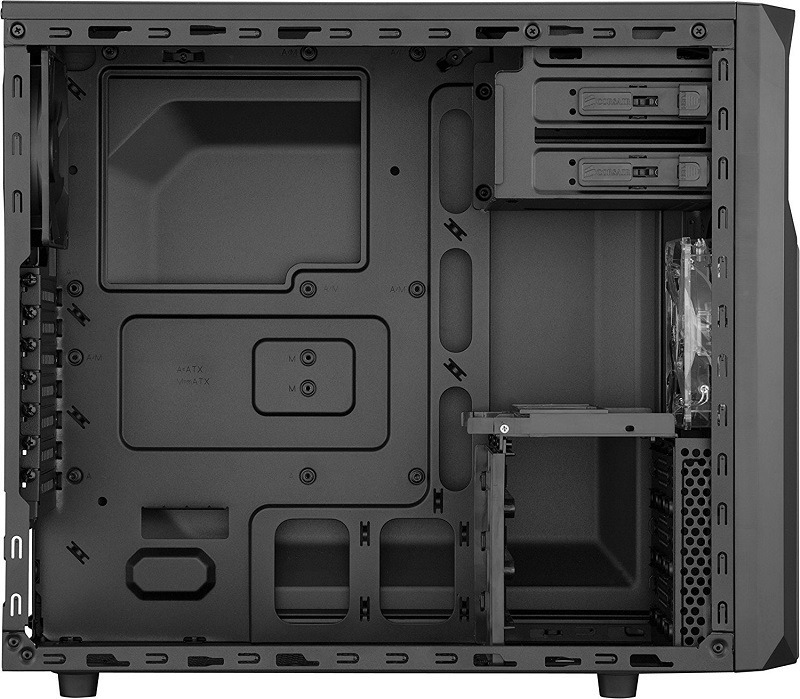 Lastly, at the bottom, there is space for installing a 240mm radiator or 2x 120mm fans. Now, that’s an insane amount of support for cooling and you don’t need more than that in any case. But however, if you do all these at the same time, be ready to remove the HDD cages permanently. 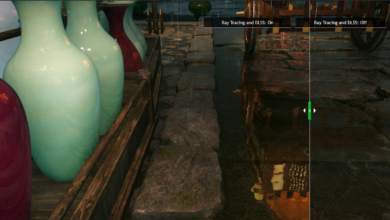 Now, for storage, it has 6x HDD drive bays that are modular and you can change their location according to the need or remove them completely if you need space for installing a reservoir. The 3x SSD drive bays are on the side and won’t interfere in anything. Cable management, on the other hand, is the best you can get. A lot of space present behind the motherboard tray is adequate for thick wires to route through the rubber grommets. Although the innovation, in this case, is not good as in Corsair 570X because it’s much older than the latter. As the case is huge, a person who will be using this would want to install several components which mean several cables. Therefore, all you need is a large amount of space to route the wires easily. It has all of this. The only thing it doesn’t have is PSU shroud. One may complain about it but I think it’s justified not putting in it. 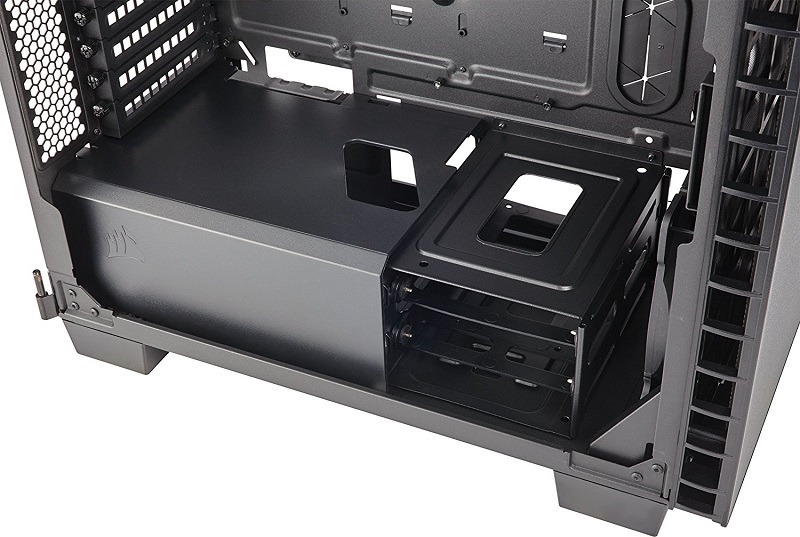 As the hard drive cages are modular and there is a presence of slots for installing fans or radiator, the difficulty would be much more if it would have a shroud. It’s completely ok to not have a PSU shroud in this case. Construction is also good, but not spectacular. Some people prefer very rigid panels and stuff but it will make it heavier. So, that will be a CON in itself. It’s sturdy and light when compared to other full towers. The feet of this case also makes it stand firmly on the desk and allows better air flow from the bottom. As it is a full tower, it must have support for every type of component. 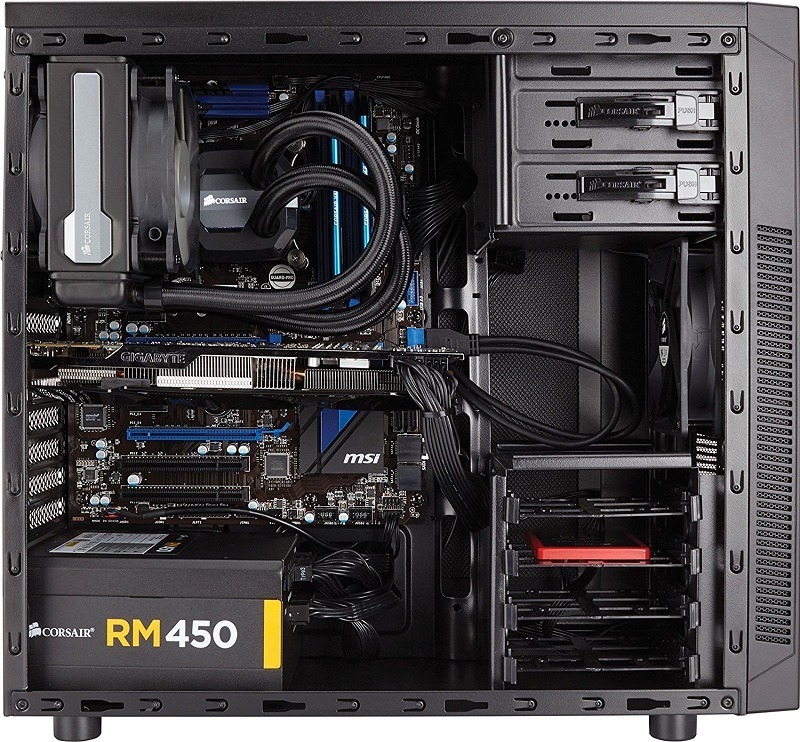 And Corsair did it with 9 PCI expansion slots which mean it can support SLI up to 4 way. By the way, I don’t recommend anyone to use that amount of graphics cards but it’s how it has been designed to remove any possibility of incompatibility. You will easily find people on the internet who have done 4 way SLI in this case with custom sleeving and stuff. This case doesn’t get tired even when it’s crowded. A beast for less price than the Corsair 570X. 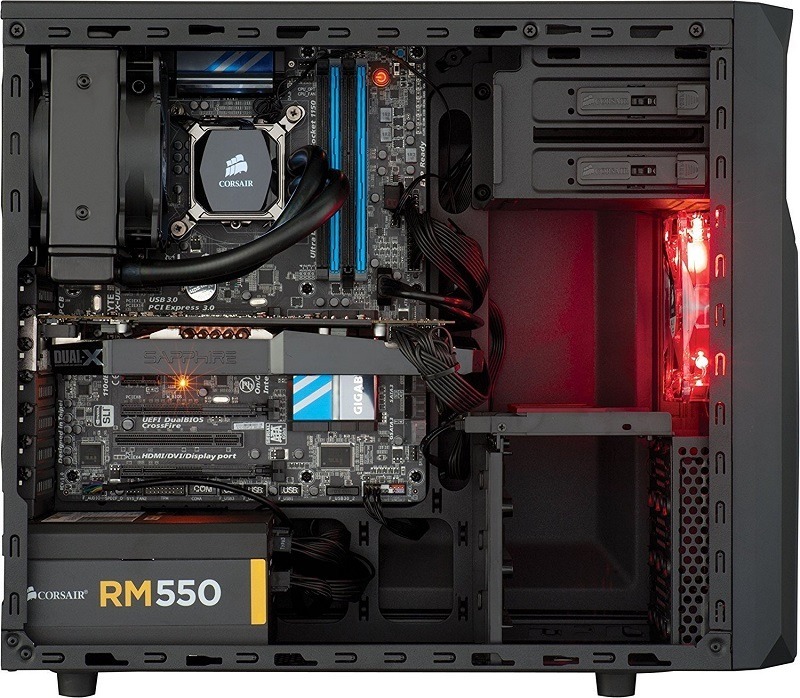 Corsair Graphite Series 780T is a perfect example of a case which can literally support any type of hardware. With 9 PCI expansion slots, it's capable of up to 4 way SLI and the modular drive cages can be removed for custom water cooling. The support for installing radiators is insane and the air flow in this case is unmatchable.